May 29 First look and "book tour" details for Image Comics' "The Red Hook"
It's always nice to see a webcomic become so popular that it gets collected in print. 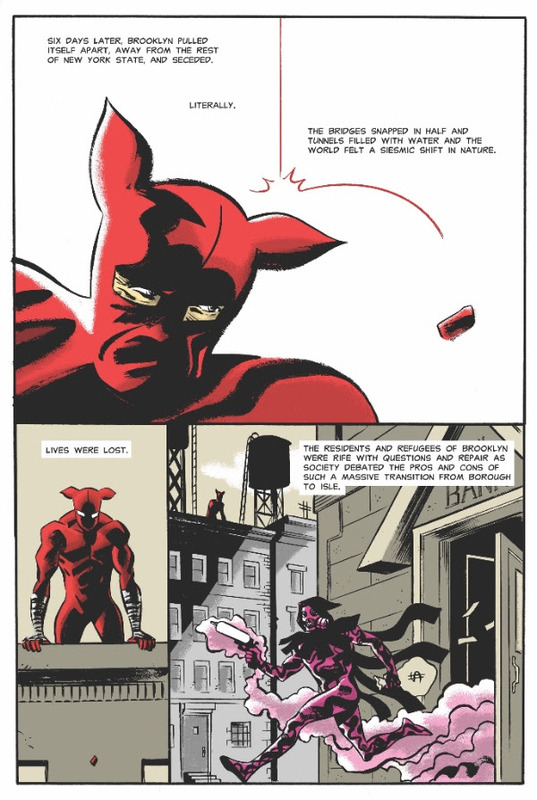 Such is the case with Dean Haspiel's Ringo Award-nominated The Red Hook, a series about a thief who is bestowed with the spirit of altruism and is made a hero after a sentient Brooklyn decides to secede from the United States. That's gotta be in the top ten comic concepts of all time. To commemorate the release of the first volume of the series, Image Comics have revealed both some preview pages from the book and dates for a summer promotional tour. Check the tour dates and details below, followed by the Image press release and a preview gallery. 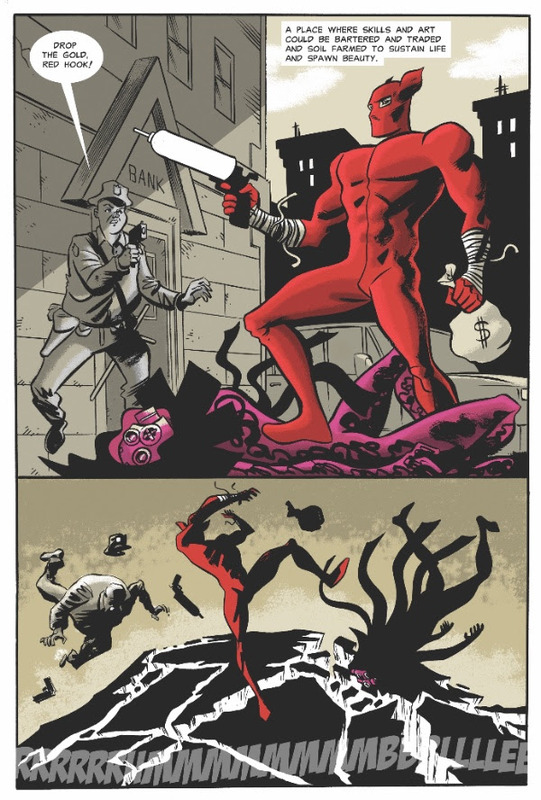 PORTLAND, OR, 05/29/2018 — Image Comics is pleased to reveal preview pages from Dean Haspiel’s forthcoming THE RED HOOK, VOL. 1: NEW BROOKLYN, which is set to launch this June. Haspiel will kick-off the release of THE RED HOOK with a Summer 2018 Tour of events beginning with a Book Expo America appearance. The Red Hook, Vol. 1: New Brooklyn will hit comic shops on June 6. Check out the preview gallery below. May 30 Get heavy this July with Image Comics' "The New Lieutenants of Metal"
May 23 Image Comics and Skybound Entertainment announce "Walking Dead Day"